The Arctic Council (AC) offers the Arctic states a forum for discussion and cooperation on an equal footing. This is remarkable as the largest Arctic Council member state, the US, has roughly a thousand times more inhabitants than its smallest member, Iceland. Traditional approaches of International Relations usually interpret size with concepts of power as the ability to influence global politics. The general assumption is that small equals weak and large equals strong (larger states are often associated with ‘great powers’). But if we look at the Arctic Council, we see that this regional organisation works with the principles of consensus and unanimity. Hence, the small member states are capable of influencing political decision-making. The major question is: Do the small states of the Arctic have the action capacity to shape future developments of Arctic politics? Who is small in the High North? The eight Arctic states differ heavily concerning their territorial size, economic strength as well their inner structure. In contrast to the Antarctic, where legal governance is implemented through the Antarctic Treaty, the foundation of Arctic politics is built by the coastal states. Regardless of the exact definition, there is a general assumption that Iceland and Denmark are “small states” and Russia and the US are not. Usually, being “small” is considered as a lack of the ability to influence. From that point of view, “smallness” is a comparative concept. The comparison of different categories, i.e. quantitative indicators such as territorial size, population or economic strength (GDP), or more qualitative indicators such as scientific outcome, the ability to influence global agenda setting or the perception of a state’s size, can be used as categories for the size of states. In the past years of academic studies in International Relations, small states were often equated with weak states. But as it turned out, small states can be very successful in using their capabilities which makes them strong and powerful. However, they need to be specialised, i.e. Switzerland in financial issues, the Gulf Emirates in oil or the Nordic States as role models for the welfare state. Anders Wivel concluded that with the formula: “From Small State to Smart State”1. Putting diplomacy into perspective, the size of the population becomes highly relevant.4 As larger states can run a large foreign service, they are able to participate in various institutions and international bodies at the very same time. Sovereignty size: Is the state able to maintain sovereignty on its own territory and present itself as a (sovereign) state on the global level? Particularly the perceptual as well as the preferential size are related to the national identity and the collective memory.8 Most of the “small states” have a distinctive history related to their states’ size and their resulting location in the international system. The economic dimension is highly relevant for the development of a certain national strategy, as small states are generally more endangered to exogenous effects and asymmetric shocks.10 As mentioned, small states need a strategy to become “smart states” and should focus on a special sector. Impressive examples for specific “survival” strategies are Liechtenstein and its banking sector, luxury tourism in the Maldives or international trade in Singapore. Likewise, Iceland established a smart strategy that “enlarged” the state’s size by gaining international perception. With a seat in the UN Security Council and its membership in NATO as well as the Arctic Council, Iceland followed a proactive foreign policy. Regarding Robert Keohane, Iceland works on its own transformation from “system-inaffectual” to “system-affecting”. Due to the consensual decision-making process within the Arctic Council, the small states in the Arctic can be system-affecting through the implementation of regional policies. Small states are usually more active in international organisations and the further development of international law as they are dependent on the institutional and legal framework of the international system. Especially institutions based on the principle of majority, as the European Parliament or the General Assembly of the United Nations, can be dominated by bigger states. But on the other side of the coin, small states are still able to influence in a certain way. In general, it may be better to have a low voice in an organisation rather than no voice in the international community. Regarding Þórhallsson, small states have a specific approach to negotiate in international as well as in regional fora.11 Because of their limited administrative capabilities (political size), small states must act more targeted and prioritise their work as well, as they need proactive policy approaches in their relevant sectors.12 It is an advantage that small states can be more flexible as they have a limited range of interests. This leads to more informality and flexible decision-making on the international as well as the domestic level. Governments can react more quickly and flexibly on changes on the global or domestic level. Small states should choose and prioritise their interests in specific policy areas as well, as they need to do some “marketing” for their position to maximise their power potential. Due to this flexibility and proactive policy approach, small states can act as norm entrepreneurs for future developments in international law and policy. Considering the political reality and diplomatic environment, it was a well-considered decision of the small coastal states to get involved in the Arctic Council. With their Arctic strategies, they can prioritise their policies and influence developments in the Arctic by targeted negotiations and actions. Iceland demonstrates that kind of behavior in quite an evident way. With very limited action capabilities on the global level, Iceland is very conscious about its position in the Arctic and uses its geographical position to promote itself as an Arctic coastal state. As Iceland is an island in the Northwestern Atlantic, it is understandable that Iceland has strong interests in maritime affairs as well as in fisheries.13 Urgent topics such as maritime safety or regulation of fishing in Arctic waters are good opportunities for the Icelandic government to get involved in global decision-making. Regarding Young’s concept of a small state as an “honest broker”. Due to its century-long expertise in the Arctic, Iceland tries to implement itself as a knowledge-based service provider and as a bridge to the Arctic.14 Location, history and the country’s self-perception should draw a picture of a reliable and “honest” broker of Arctic issues. Hence, Iceland follows the “entrepreneur leadership” approach as it provides “salient support” and “innovative ideas” towards external partners.15 According to this concept, Iceland followed the formula “from small state to smart state” in an understandable way. As mentioned, another important indicator for the power potential of small states is the institutional and legal framework. Referring to the case of Iceland and the Arctic Council, we can see that quite clearly. Decision-making in the Arctic Council is based on the principles of unanimity, sovereign equality (“one state, one vote”), and is led by a rotating chairmanship. Every two years another member state gets the chairmanship, and can thus implement national priorities as well as further develop the institutional framework of the Council itself. Currently, Finland holds the chairmanship and will hand it over it to Iceland in 2019. This leads back to the concept of an “honest broker”, as the states can put their own interests and priorities on top of the agenda, but must keep the benefit for the region in mind. Remember, as small states usually do not have the military or economic power to promote their interests, the Arctic Council is a powerful forum for the small states of the Arctic. 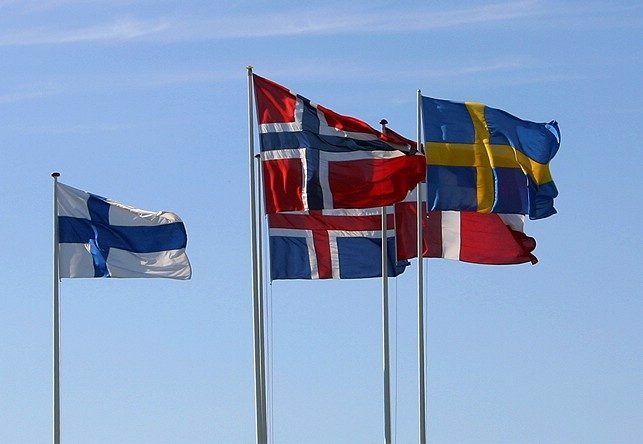 According to Baldur Þórhallson, every small state needs an ally.16 Even if these allies are in the form of an institution (or the institution itself), the state is improving the possibility to gain action capacity. Even if the small coastal states are lacking in quantitative size, economic power or military capabilities, they can maximise their action capacity and shape Arctic policies by using smart strategies. 1 Wivel, Anders: From Small State to Smart State: Devising a Strategy for Influence in the European Union, in: Steinmetz, Robert/Wivel, Anders: Small States in Europe. Challenges and Opportunities, Farnham 2010, p. 15. 2 Þorhallsson, Baldur: The Size of States in the European Union: Theoretical and Conceptual Perspectives, in: European Integration, Vol. 28, N. 1 (2006), p. 7. 4 Vital, David: The inequality of states, in: Ingebritsen, Christine/Neumann, Iver/ Gstöhl, Sieglinde/Beyer, Jessica (Ed. ): Small States in International Relations, Seattle/Reykjavík 2006, p. 81. 6 Þorhallsson: The Size of States, 2006, P. 8. 8 Väyrynen, Raimo: On the Definition and Measurement of Small Power Status, in: Cooperation and Conflict, U. 1 (1971), p. 92. 9 Briguglio, Lino/Cordina, Gordon/Farugia, Nadia/Vigilance, Constance: Introduction, in: Briguglio, Lino/Cordina, Gordon/Farugia, Nadia/Vigilance, Constance: Small States and the Pillars of Economic Resilience (Ed. ), Malta/London 2008, p. 11. 10 Þórhallsson, Baldur: The Role of Small States in the European Union, in: Ingebritsen, Christine/Neumann, Iver B./Gstöhl, Sieglinde et al. (Ed. ): Small States in International Relations, Washington/Reykjavík 2006, p. 218f. 12 A Parliamentary Resolution on Iceland’s Arctic Policy, <https://www.mfa.is/media/nordurlandaskrifstofa/A-Parliamentary-Resolution-on-ICE-Arctic-Policy-approved-by-Althingi.pdf>, Accessed: 28.07.17. 15 The Reykjavík Grapevine: Sophia and the EU: <http://www.grapevine.is/Features/ReadArticle/Sophia-And-The-EU>, Accessed: 28.07.17. Vincent-Gregor Schulze serves as Associate, with interests in regime-building and institutional development in the Arctic and Small States. He is currently working on his Ph.D. in European Studies at the University of Leipzig, has a Master’s degree in European Studies awarded by the University of Leipzig as well as a Postgraduate Diploma in Small State Studies from the University of Iceland. He has also studied in Finland, Norway and Denmark to get deeper in various aspects of the Arctic. His main interests in the Arctic are issues of governance, regime building and the Small States in the Arctic, with a particular interest in Northern Europe. Due to his interdisciplinary background, he approaches Arctic Governance from a political, legal and economic perspective.